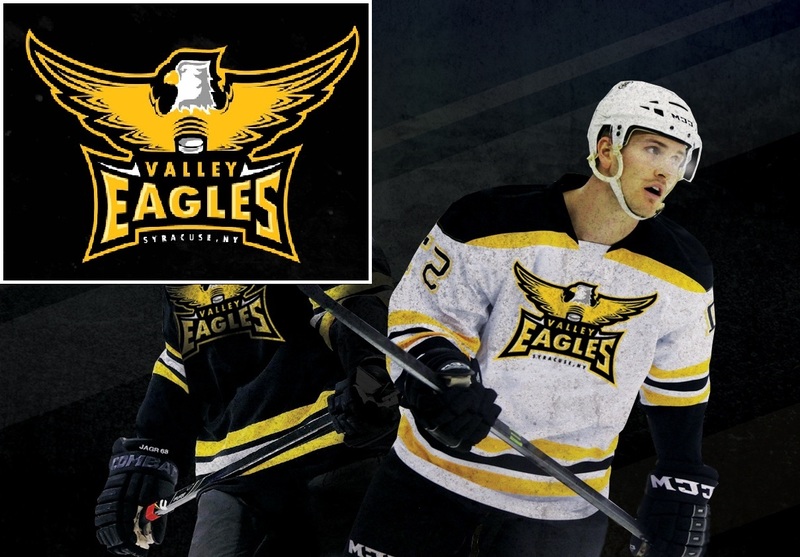 Valley's Board has been debating the pros and cons of player-owned jerseys vs. Valley-owned. 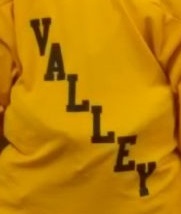 For years, Valley has purchased jerseys that are used by families and returned at the end of the season, to be stored and loaned year-after-year until they wear out (generally 5 seasons). The jerseys are paid for by the Association out of registration fees, and some money is allocated to purchase new jerseys every year. 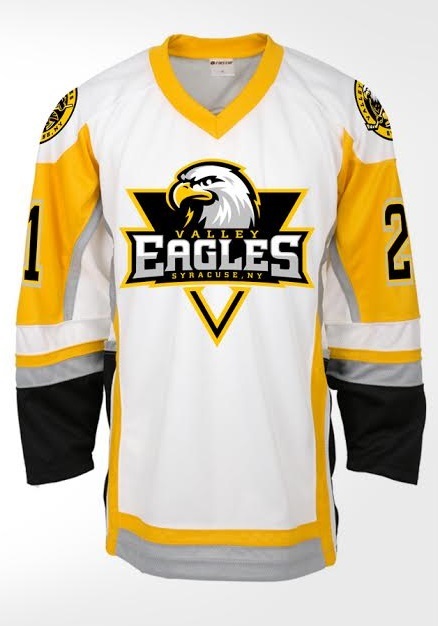 Sponsorships -- Team sponsors can subsidize the cost of player-owned jerseys, but we cannot put sponsor patches on shared jerseys that are supposed to last for a minimum of 5 seasons. Also, it is easier for each team to find one or two sponsors (if they choose to do so) than it is for the Association to find sponsors willing to fund our 20+ teams. 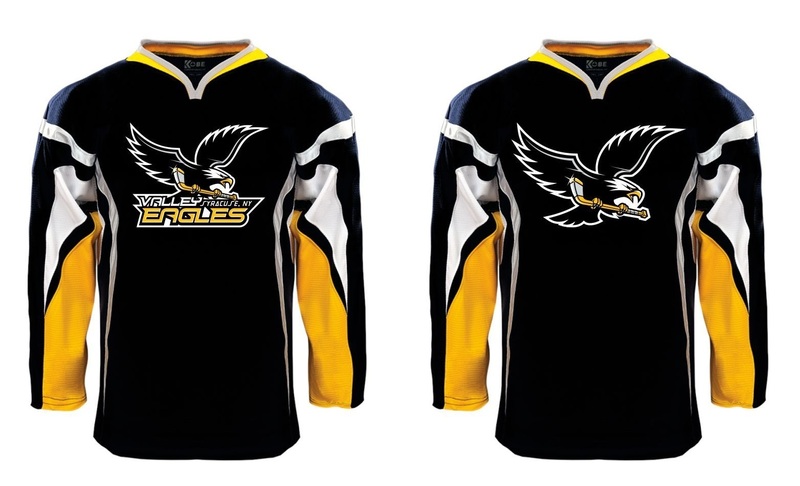 Player-owned jerseys give teams an easy way to raise funds for other expenses, as well. Opportunity costs -- Valley Hockey has gotten much larger, but we have had a shortage of volunteers for almost every job that needs to be done. Maintaining jerseys for the entire association has a high opportunity cost. The many hours that go into jersey maintenance are hours that could be used to plan development for players and coaches, and to organize other hockey-related activities. Feedback from members indicates that many parents feel there is an urgent need to pay more attention to player development. Therefore, it is necessary for Board members to spend more time planning, and less time sorting jerseys. Jerseys are paid for and subsidized by the entire membership. If your child has an extraordinary mid-season growth spurt, Valley might have a bigger jersey for exchange without your having to purchase a new one. Sponsor patches can easily be added for team or individual sponsors (sponsors can subsidize 100% of the cost of the jerseys + MORE!). 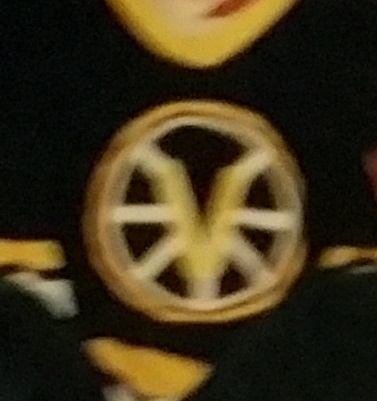 Teams can choose to put player names and custom numbers on jerseys. 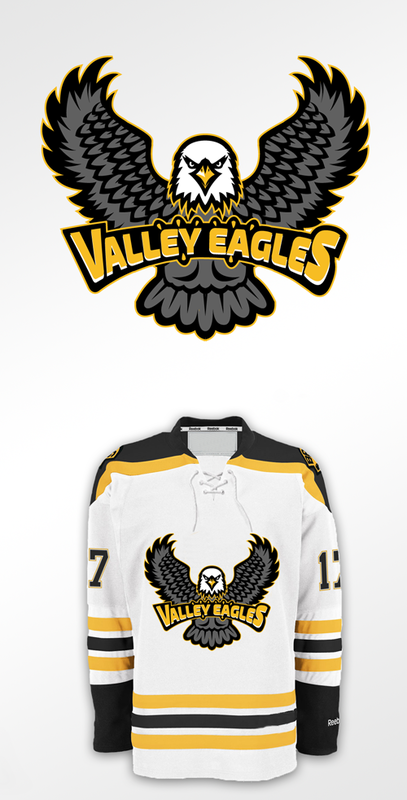 Valley would choose a preferred vendor who would keep our logo and jersey requirements on file. Team orders make the ordering process much more efficient. A vendor can offer several levels of jersey quality (younger players do not need the more durable but expensive jersey fabrics) so teams have choices about price points. to determine costs for inclusion in the budget and the amount to build into the registration fees every year for all players. Families can re-use jerseys from season-to-season and with younger siblings. Jerseys may last longer because players may take better care of of ones that belong to them. *Valley has had a chronic shortage of volunteers stepping up to help with jerseys and other tasks. If you have questions that have not been answered by the explanations above, please do not hesitate to email Lillian Jeng ( ) or Jarrod Shupe ( ). There is a comment area at the end of the survey, as well. What is your preference on this question? 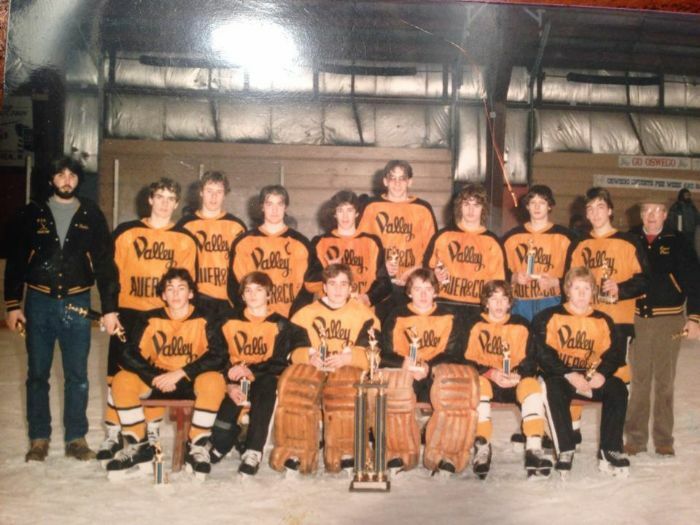 Valley Hockey did not have a logo or a mascot in the early years. 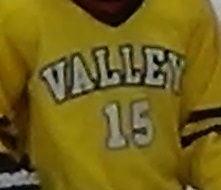 Jerseys were adorned with a simple "Valley" for a logo. Later on we used a "Flying V". 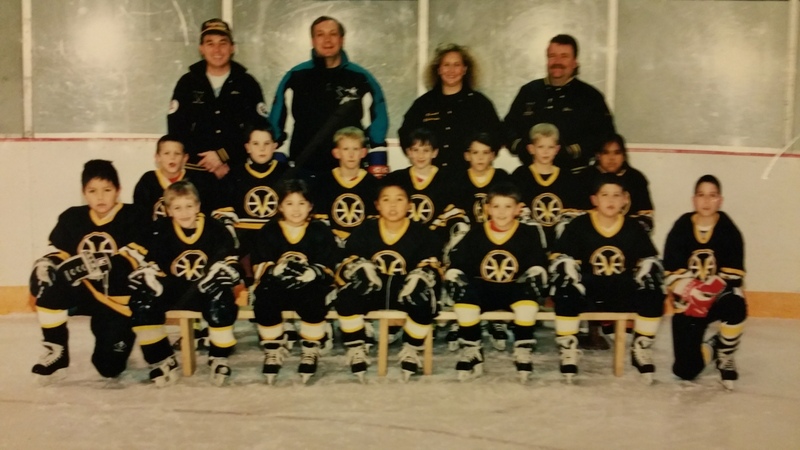 Around 1990 we acquired an eagle mascot, possibly inspired by a predecessor of the Syracuse Crunch known as the "Syracuse Eagles". 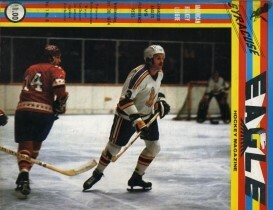 The Syracuse Eagles were a pro AHL team that played from 1974-75, the season after Valley Hockey was founded. 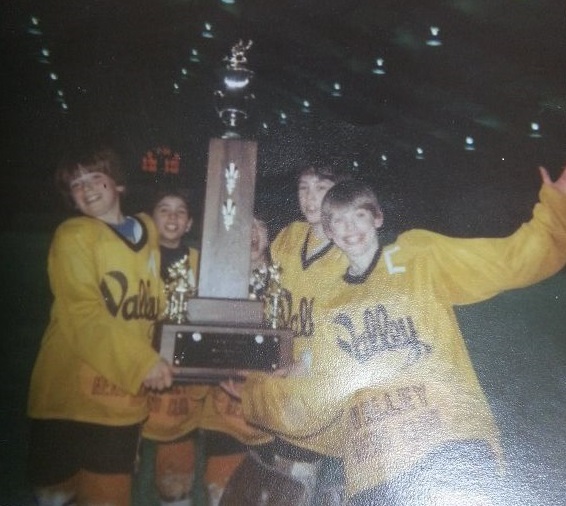 We were definitely known as the Valley Eagles in 2007 when our 16U team won a second consecutive State Championship and was honored by Mayor Driscoll and County Executive Nicholas Pirro, who proclaimed April 18, 2007 to be "Valley Eagles Champions Day". 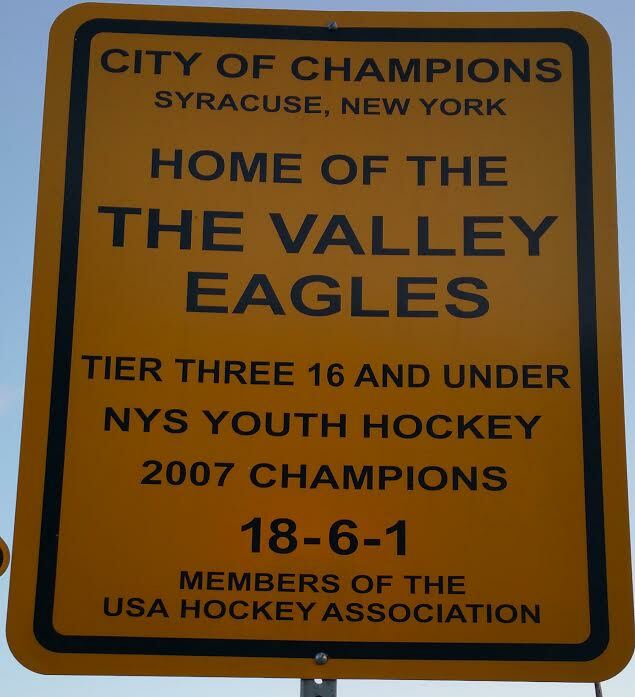 We were the Valley Eagles until September 2013, as can be seen from road signs, banners at Meachem Rink, and from NY & USA Hockey listings which have not yet been changed. 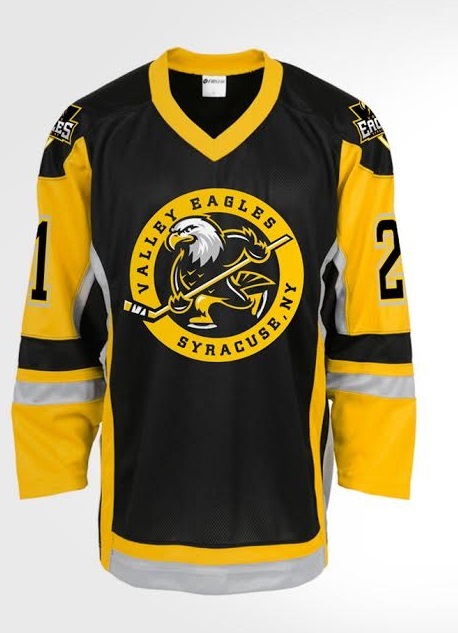 It is unclear if the eagles logo that appeared on some publications was ever used on jerseys, but it would be problematic to return to this logo because it actually belongs to the Cape Breton Screaming Eagles. 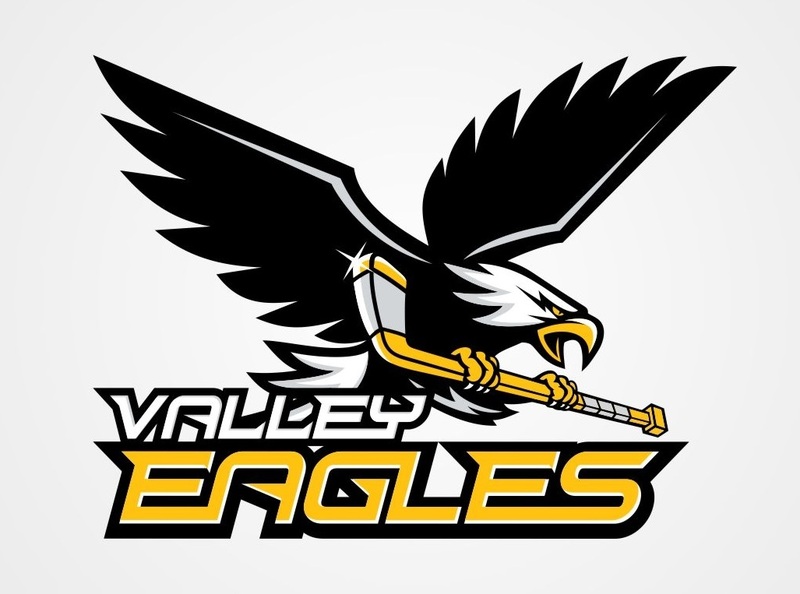 Our current "official logo" is the Boston Bruins-inspired circular "V" logo although there is no connection between Valley Hockey and Boston or the Boston Bruins besides the colors we share. 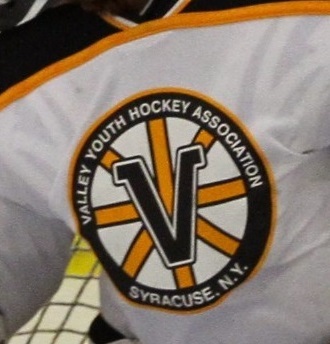 Due to trademark and budget issues, multiple logos have been used on Valley jerseys in the past few years. 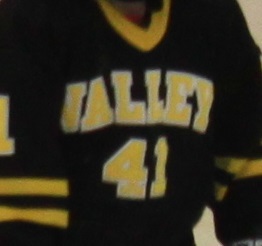 Here are images of Valley jerseys which were worn at home and away during the past (2014-15) season. 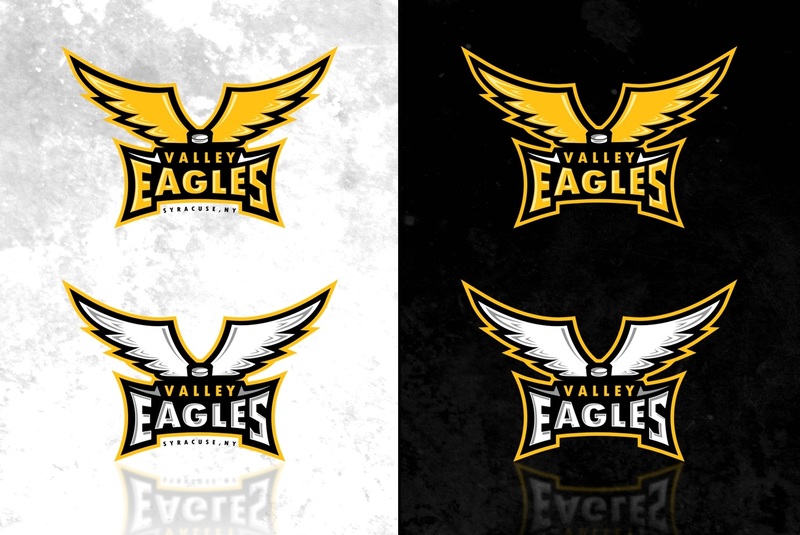 Clearly, it would be beneficial for Valley's identity and branding to return to a uniform logo and/or mascot for all teams. But, which one? The Board would like to know how players and their families feel about whether to retain the current logo or to get a new one. Is Valley going to change the colors of the jerseys? No. 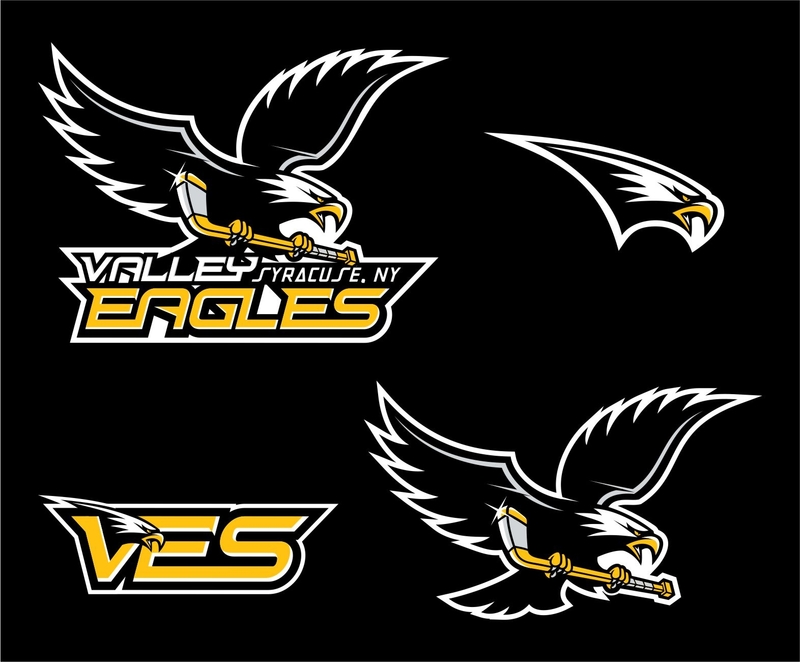 The Jersey & Logo Committee has solicited feedback and found general consensus about staying with the same colors that Valley has always used -- Black/White/Gold -- even if the decision is made to choose a new logo and mascot. Why is the Girls 12U bear not an option? Why is there no bear mascot for an option? 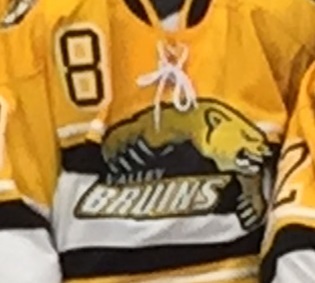 There WAS serious consideration about making the "Valley Bruins" bear logo used on the Girls 12U jerseys one of the options. 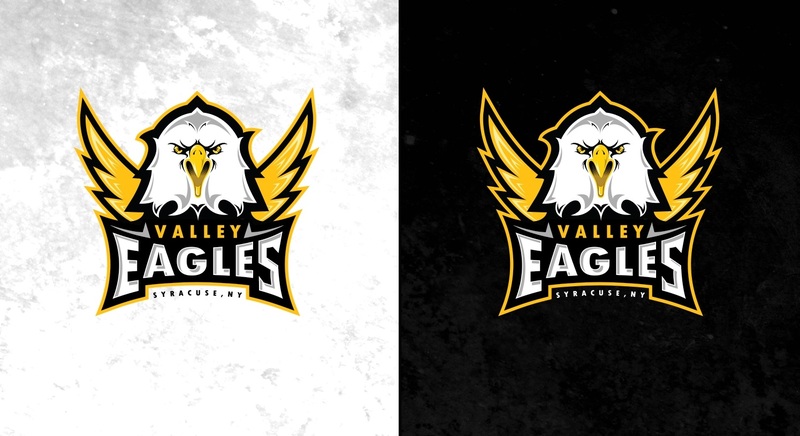 Because that bear logo was being considered at the time that the design contest was commissioned, there seemed to be two clear "Valley Bruins" options, so the contest was for a new Eagles mascot in order to give Valley members two mascot choices. Unfortunately, since then we have discovered that the bear logo is not only not original, but it is being used by at least six other organizations, and one of these organizations, the Alaska Aces, is the owner of this trademarked and copyright-protected logo. If you find the above choices to be unacceptable, please describe your preference briefly. Please understand that the Board cannot consider an alternative preference unless it is one that is expressed by more members than those who have expressed their satisfaction with Choice A or Choice B. No matter which choice you made above, please look through the following image collections and choose your First Choice Designer and your Second Choice Designer. Please remember that the design we pick will be on jerseys, team jackets, patches, coffee cups, water bottles, stickers, t-shirts, the website, and all sorts of items, so please choose ones that you won't get tired of seeing for many years! Which designer is your 2nd choice?